The Ombuds Office is a safe place where UW-Madison employees can seek guidance regarding workplace concerns at any time, without fear of reprisal, and at no cost to them. 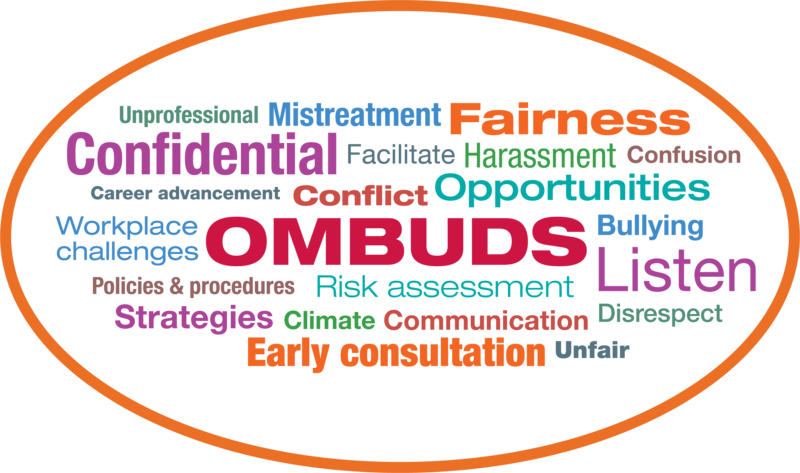 Ombuds provide faculty and staff with a confidential place to collaboratively explore complaints, clarify issues, and consider options and resources to address their concerns. Ombuds are impartial and non-aligned, working to promote fairness in the workplace. Please note: The Ombuds Office is not designated by UW-Madison as an entity authorized to receive reports of university policies or of unlawful practices. Therefore, communications made to the Ombuds Office regarding possible violations do not constitute notice to UW-Madison. This provision ensures the freedom of ombuds to work independently and confidentially with individuals seeking assistance.